Dean from Australia: The Recipient - Update No. 3: Contract Day. 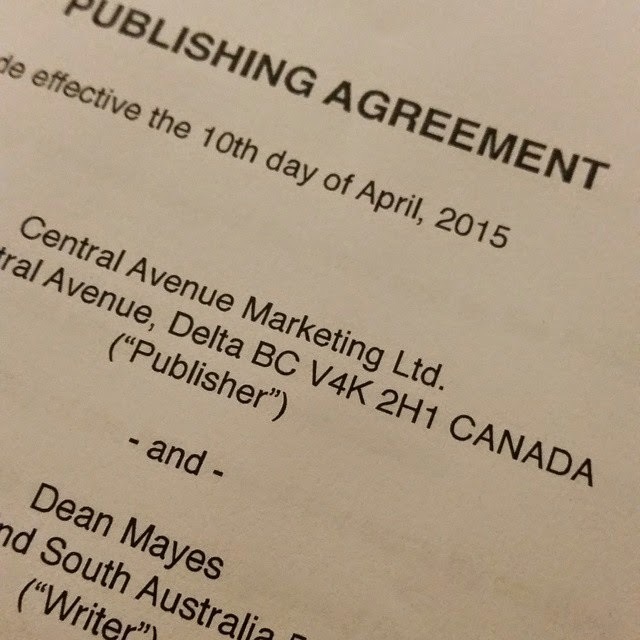 No matter how many times I've done it, putting the ink on a publishing contract remains a special moment for me. It's a recognition of the work you have done so far, a nod that says "everything you have done is worth it." I wrote recently that we writers work in isolation. It's easy to lose perspective on what you are trying to achieve. You don't see things objectively. You often doubt yourself and the project. You fret that your effort is not enough. Penning your signature on a document like this, gives so much reinforcement. It spurs you on. But you do it with a fresh sense of confidence.